Sum Math Madness | My ramblings of the things that work and things that don't work in my classroom! Well I have been on Twitter since 2011, had this blog since 2012 and both have been great for me growing as an educator. The past two years, I haven’t been as active on either very much. There have been a variety of reasons – health, district initiatives that have taken up a lot of my time, and probably number 1 (just like a lot of other people I’m guessing) not feeling like I have much to contribute to the #MTBoS (Math Twitter BlogoSphere) world. Yesterday when it was announced the #TMC16 (Twitter Math Camp 2016) will be in Minneapolis next summer I was very excited. Minneapolis is only about 3 hours from where I live. I have been following TMC on twitter since the first one and have always wanted to attend because I have gotten so many ideas just from following on twitter imagine what it would be in person. In my mind I’ve always said geography was the biggest reason I didn’t but in all honesty it probably comes back to feeling like I wouldn’t have much to contribute and would be star struck by the big names in #MTBoS that already have those amazing connections. But now that next year’s is so close I can’t use geography as an excuse so now I just need to get over the second thing and I’m golden. (Hence the reason for this blog post). P.S. Maybe I should have gotten up last night and put together this post and I would have been able to fall asleep faster – nap time today after a few hours in my classroom – man I think I just got back to school mode – lots of things to do if I’m going to be sharing! Did some thinking today while I was at school about my original thoughts about #MTBoS and came to a realization. I believe I am a great math teacher and I do have things that I can share, but most of them are not my original ideas and they came from the amazing people of the MTBoS world which is probably why I find #TMC a little intimidating. Thought for the day. Welcome to my blog. Hope you enjoy/enjoyed the presentation Other than a Worksheet. You can access my livebinder page with all of my links from the presentation here. Access my presentation on google slides here. Here is a pdf of the examples referenced during the presentation. Please add a comment or email me with questions or other ideas that you use in your classroom that you think other people (aka me) would like to know about. Emotional roller coaster of last school year (in 1 blog post)! Well it has been over a year since my last blog post. “Why so long?” you ask. Well it was mainly because I can now say that I am a breast cancer survivor (or at least in remission – not sure on that technicality). Where do I begin – beware – this might get long. Last year started out great. I was teaching my sons classmates, started implementing INB, was going to teach college stats for the first time second semester and then one Friday in September after school I felt a lump! What seemed like a million years and 2 million appointments later I was told that I had invasive ductal carcinoma aka breast cancer. The doctor that told me (not an oncologist) told me that I probably wouldn’t be able to continue teaching through treatments and I was devastated! I made an appointment to meet with an oncologist for 3 days later and I was scared you know what. Breast cancer doesn’t run in my family and in fact cancer in general doesn’t. So I didn’t have a clue. I assumed they would start treatments right away. So the next day I told administration and the next day after that I wanted to tell my students because in my mind I thought it was going to be my last day. You think teaching is hard….try telling them that you have cancer and you might not be back. Hardest thing ever…but I respected them enough for me to be the one to tell them. Well I survived that day (barely and tears were definitely shed) but I am so grateful to say that my oncologist said he saw no reason for me to stop teaching as long as I was feeling up to it (maintain normal as much as possible – obviously he doesn’t know me because people say I’m anything but normal haha) In fact the only time I cried in that initial appointment with him was when we started talking about me and teaching (I do love my job and kids). So course of action was developed that day. 8 rounds of chemo first. (Going to summarize the rest of the year fairly quickly and get to what I learned from this experience). Finished chemo up only missing 3 additional days (other than appointments obviously). I’m so proud of this fact but also thankful…I don’t know what I would have done had I not had something to look forward to in the morning. Funny enough…one of those days was flu clinic day at school – apparently the mist is a live virus and my oncologist didn’t want me around that with my weekend immune system. The other 2 days I was just exhausted. Then did a lumpectomy – and I am happy to report that no cancer cells were found from the cells they removed – so chemo did it’s job. But since I had the lumpectomy over mastectomy I had to do 33 radiation treatments daily Mon through Friday. Now I live 40 miles from the nearest hospital that does radiation so would have to travel that daily for a 10 min appointment. Thankfully they had appointment times late in the afternoon so I didn’t have to miss school, but man that made for a long day. But you know what…I made it through just fine. Fast forward to today….just did a 6 month check up scan and everything looked great! I do have 2 appointments scheduled this year already. One is for my port removal (very excited about this one – I hate that thing) and the other one isn’t until FEBRUARY!!!!!!!!!!!! 1) Worrying about tomorrow only takes away today’s peace! With anything medical the unknown and not having a plan is horrible. But worrying about it doesn’t help. Put trust in the doctors that you have and the support system around you of the people you love and everything will seem ok. One day at a time. 2). It could always be worse! The cancer could have spread, I could have had to travel 2 hours to appointments, my kids (sons) could have be younger and needed my attention more, I might not have been able to continue to teach….you get the idea. It could always be worse. 3) It’s ok to have bad days (and this is true no matter what is happening in life). But just have a good cry, remember 1 and 2, and pick yourself up with the help of loved ones. 4) I have amazing family, friends, colleagues, students and live in an amazing community. I have never felt so much love and support as I did this past year. From kind words, flowers from past students, a simple card in the mail, meals prepared for our family (colleagues set up a schedule on the TakeThemAMeal website and got 4 a week during chemo). Amazing! What have a learned as a teacher? 1) Students are amazing! They cried with me when I told them, they cheered with me when I was done with chemo. They were ok if I wasn’t at the top of my game and had to sit down sometimes in the front of the room. They told me the loved the highlights I got in my hair when it was my wig after I shaved my head since the hair was falling out. They kept me going. 2) Be open with your students – they are capable of handling more than you think and are thankful for your honesty. Now obviously I treated my seniors differently than my 8th graders. But if they had questions I would answer them. As much as they can be a pain some days, they most definitely can be caring, giving, and compassionate humans as well. Here’s what I believe – I believe I not only taught them math….but I also taught them a lot about life and (I hope) how to handle adversity with strength and class. 3) It’s also ok to take a break from trying to be amazing. Did I miss learning some things by not reflecting and sharing on my blog, not reading blogs, not participating in the Global Math Departments amazingness, and in not following unbelievable PD on twitter? Sure. Is that ok? Yes it is. And here’s why….I’m back now!!!!! Sorry this got long – and I’m sure there is more I wanted to say (I’ve been formulating this post is my mind for awhile now) but this is me, today, what I’ve got. :). If you made it this far…thanks for reading and I wish you an AMAZING school year. So I decided to make one for rationalizing denominators. I used some sample problems off the internet, so please let me know if I have something wrong and I can fix it. How I used tarsias in my classroom was I handed out the table to the kids (with the answers whited out before I copied it) and had them try to simplify first. Then I handed out the puzzle pieces as a way for them to check their answers. I did it this way, rather than giving the puzzle pieces first, so students actually tried simplifying first rather than doing things like – “this problem has an x variable so find another one that has x for a variable” or other shortcuts like that. When I presented at a state math conference another teacher thanked me for showing her the tarsia software (unfortunately only for windows right now) because she had been making these activities by hand all year. 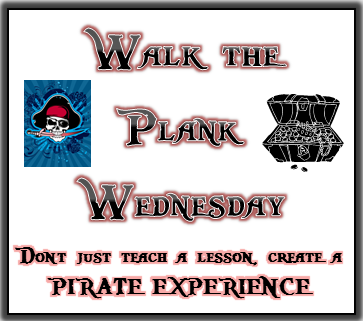 While I’m not for sure this is extremely Pirate-worthy, it’s better then the kids just doing a worksheet in my opinion. Another thing I like about tarsia is they make it easy to differentiate learning with – harder problems “if you are ready for a challenge take the green puzzle, if you feel you need to practice the basics still choose the yellow puzzle”, or you can even add wrong answers around the outside of the puzzle to add a level of difficulty. In case you don’t have the software I also saved the three important things you would need as pdfs for you to use. Again, I didn’t work through these problems or check to make sure I didn’t have a typo so you might want to check the table out first to make sure my solutions are right. If I have a mistake please let me know and I can fix everything. Well, I am finally getting around to putting my reflections about SBG into my blog (thanks to some twitter pressure motivation. Here is a brief synopsis from the beginning of the year on how I started the class out. But keep in mind, this was learning by doing for me, so things definitely changed as I went. 1) I had attended some sessions at regional MCTM conference 2 year ago on SBG and thought it made so much sense, but didn’t do anything right away because I said I wanted to learn more things about it first. 2) I finished 16 credit hours of math grad classes over the previous 2 summers and had a horrible experience in my number theory class with a professor that the only thing I learned from was how not to teach. 3) So beginning of August (week before inservice) I decided it was time even though I hadn’t done much more research than I had the previous summer. But I had a revelation – if I wait to implement until I know everything and got everything ready – I will never implement. 1) EVERYTHING – well probably not everything. But almost everything. I loved that the kids knew what I wanted them to learn. I loved seeing them learn. I loved seeing them try again when they realized they hadn’t learned (rather than moving on after the test). I loved the engagement the students had in their learning. 2) I loved that I know I had a better year with my 8th graders (“the class”) over if I would have stuck to traditional grading. They saw the work that I was putting in to allow them to learn the math and they knew I cared and were willing to care back (at times). Don’t get me wrong – I still had tough moments – and there were tears, but it could always be worse. AND THAT LADIES AND GENTLEMEN IS WHY SBG IS SO IMPORTANT!!!! 2) I need to find a better way to communicate scores on each concept. Kids kept track of their own (as well as me) on a sheet but parents rarely ever saw that paper. I need to make all kids more accountable rather than coming to me and asking “which ones aren’t I proficient in”. I also need to find a way to keep parents informed better when students are falling behind and needing to come in on their own time to spend more time learning on a concept they aren’t proficient in. 3) I need to find a way for kids to practice on a concept before they come in to reassess. Too often they would come in and look at their list and say “I think I’ll assess on ….” and hadn’t prepared. That was very frustrating. So I might make a livebinder that has some links to practice problems for each concept that they must print off that they have completed before they reassess. But I’m still mulling over that idea. 4) I am realizing that I didn’t challenge the students that understand the concept from the beginning and got perfect quizzes right away. Instead I just gave them another quiz to see if they could do it again. I would like to find some higher level thinking questions (even though my quizzes were leveled to basic knowledge and what I thought was advanced but looking back advanced probably wasn’t the right word) for each concept and challenge those kids. 5) I’m also throwing around the idea of interactive notebooks. We’ll see how this summer goes with me preparing for it, but then I think again about my previous comment mentioned above – But I had a revelation – if I wait to implement until I know everything and got everything ready – I will never implement. Tonight was the first night of our twitter math book chat – discussing Teach Like a Pirate by Dave Burgess (@burgressdave). 1st night we discussed the first 2 chapters of part 1 – Passion and Immersion. I thought some great discussion was had. If you missed it here are a few storify options for you if you are interested – All tweets and some tweets with quotes from the book added in. Rather than reading a bunch and waiting a week to discuss, it was decided to read smaller amounts and discuss twice a week (good idea @druinok). So on Sunday, June 9th at 8:00 CST we will discuss chapters 3 and 4 (Rapport & Ask and Analyze) and then finish up Part 1 on Wednesday, June 12th 8:00 CST discussing Transformations and Enthusiasm. Can’t wait! Here are my slides (hopefully I have linked them correctly) for you to view. Also, here is my livebinders link to all of the things I am going to talk about/demonstrate for your viewing pleasure. Please comment here or email beckyrahm at gmail.com if you have any questions or comments. Also – please leave a comment of one of your favorite ways to review with students. Update – after the session – thanks to all who came (and didn’t volunteer – note to self, bring calculator along next time so I can use random number generator to pick volunteers and I need to ALWAYS volunteer in a session where one is asked for, so the presenter doesn’t feel awkward – haha). If you weren’t able to attend the session, the PowerPoint probably won’t help as much because it was really just for me to remember what I was going to talk about next (in other words I just didn’t read from the slides), but everything I did talk about is referenced on the livebinder site linked above (with probably an even better explanation than I gave). Also I will keep updating the livebinder when I find other great ideas to steal, use. Or keep checking my blog. Also could someone post in the comments the game ideas that were shared by attendees, I know there were some great ones that I was excited about, but with it being Saturday morning, my nerves about the session, and me not writing them down, I seem to have forgotten them. My bad. So post a comment if you would please (or if you weren’t there please still just comment on your favorite review activity). Thanks.